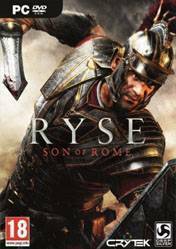 Ryse: Son of Rome is the adaptation of Xbox One game that caused furor with the release of Microsoft's new console. Set in the time of the Roman empire, will take the role of a captain in the army of Rome through a story full of intrigue and twists. Besides the adventure mode for single player, it offers a very attractive multiplayer. The multiplayer mode put us in a series of Arenas where you face waves of enemies, in order to overcome them and build up our team with both aesthetic, and new weapons and shields that will allow us to increase the difficulty of the challenges. Also, in this mode you can play with other players, which will increase our survival. But without a doubt, the cornerstone of this game is in the combos and combat moves of our character, along with a very attractive defense system and bloody and merciless death cameras. Besides its graphic and sound effect is superb. A real gem game that reaches version of computers, and that blends action and RPG equally. Amazing story line, the landscapes and graphics are also incredible, the combat system feels like you're playing some kind of Assassin's creed or Shadow of Mordor, for me its a 10!!! Great and beautiful game. Innovative on some levels but still lack of depth and short breath. Leave us wanting more but still a nice game to have in our library (especially if you can max out all the settings at 60 fps or more). Since it's cheap, it's good time to grab it! i definitely NEED to try this game! I really don't know why but i don't liked it!